Can't wait to get my long, stabby thing. This morning, Fortnite teased the arrival of swords to the battle royale game, so soon you will be able to slice, dice and julienne your opponents on top of shooting them in the face. The teaser video released on the game’s Twitter account references Arthurian legend, with an armoured figure pulling a sword from a stone and raising it aloft. The sword appears to be the titular Infinity Blade from Epic’s mobile game series of the same name. Unfortunately, Epic Games also announced today that it is pulling the Infinity Blade series from the app store and will be winding down support, citing difficulty due to its commitments to other projects. But the Infinity Blade itself will apparently live on, albeit in a new home. Though Fortnite: Battle Royale has been absent of the bladed weapons until now, swords are already present in Fortnite: Save The World, Epic Games’ less popular co-op survival shooter which pits players against the environment rather than each other. 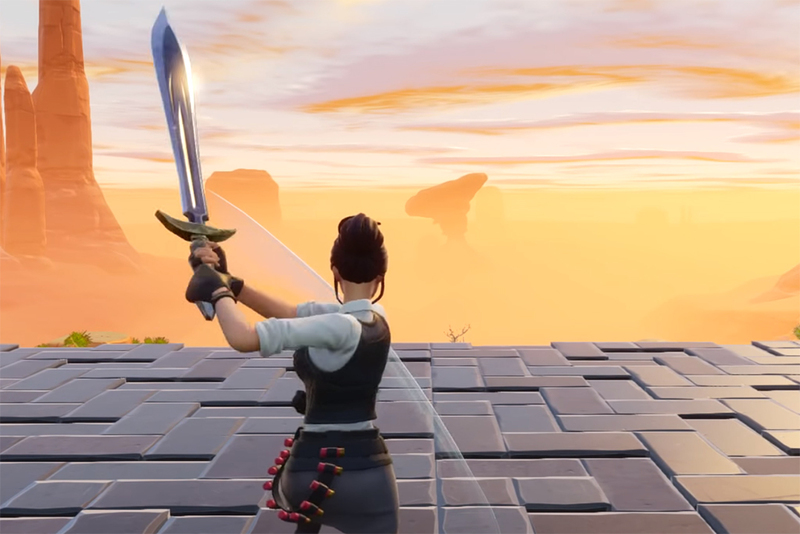 In Save The World, swords make up for their short range with a fast attack speed. Though there are currently no details regarding whether swords will operate in Battle Royale the same way they do in Save The World, it’s a pretty good bet they’ll be similar. No word yet when these new stabbing tools will arrive, but I’m sure that players will immediately start charging about the map like Mel Gibson in Braveheart when they do.